Do I really need a trainer kite or can I just get a bigger kite to start? Even though jumping into a larger power kite sounds like more fun and a faster way to begin, it’s actually counter-productive to learning. 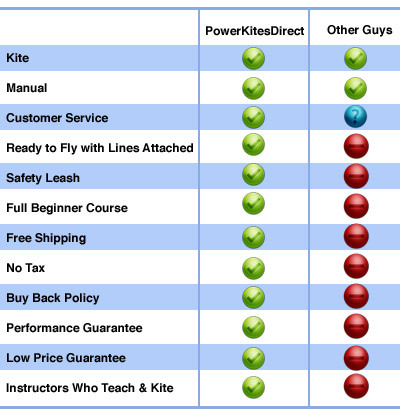 Here are a few reasons why trainer kites will help you to power kite faster. Less complex: The trainer kites have only 2 or 3 lines, no trim straps and no harness is needed. This simplifies the learning process by allowing you to learn the most important aspects of a power kite: mainly the power zone and the wind window. Safer: A trainer kite is a low consequence way of learning how to control a power kite. It should be no surprise that a kite that can make your jump has a lot of power – so learning how to control the amount of power needed is critical. Trainer kites are safer in that if you feel you are getting pulled in a direction you don’t want to go, just let go of the bar. The kite will depower and you have a safety leash on your wrist that will allow you to collect the kite so you can relaunch it and keep flying. Less expensive: Trainer kites are quick and economical way to get started. 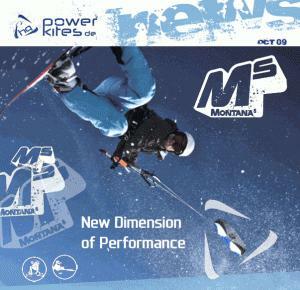 You will always have the ability to use it with new kiters when they get started or trade it in to use and get credit. Should I get a 2 line or 3 line trainer kite? A 2 line kite will work for training. However, you will need another person to launch and land the kite for you if your kite has two lines. Also the kite may crash several times as you are learning so they will need to run to where the kite is and relaunch it for you. The other reason we recommend a 3 over 2 line kite is the Safety Reflex ResponseTM (SRR) that is learned when letting go of the bar. If you have a 2 line kite, you may be reluctant to let go of the bar because intuitively you know it will take some effort from a helper to relaunch. 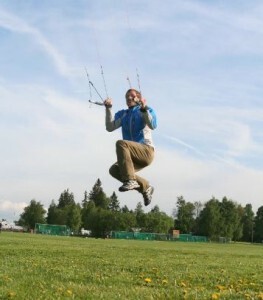 With a 3 line kite you know that when you let go of the bar, you can easily relaunch it. This Safety Reflex Response is what you need to become an automatic reflex when you move into bigger kites. Often people who train on 2 line kites (or larger full sized kites) don’t learn this very important reflex. What’s the difference between the Rush 3 Pro and the HQ Hydra? 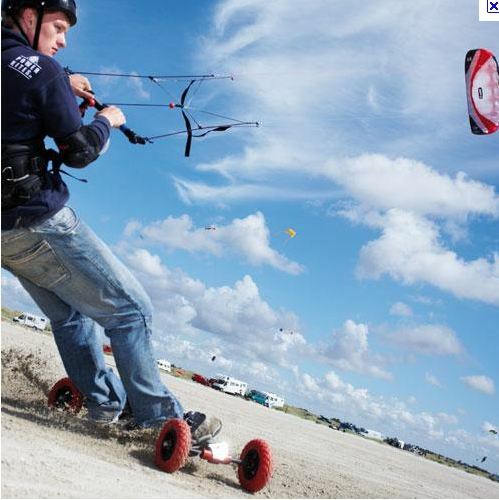 The Rush 3 Pro is a nice 3 line kite that can be used on land for training as well as for some beginning snowkiting. The HQ Hydra is a 3 line kite that has a unique vent-out system in the back that gives it several advantages over all of the other foil kites. You can fly Hydra on land as well as water. This is a big benefit because it allows you to transition what you have learned on the land (simulated body dragging, figure 8’s, simulated board starts) onto the water. With the Hydra you can use the exact same kite you are already familiar with in the water. This reduces the distractions of learning about the harness, trim straps, depower etc. Believe me, the last thing you want to be thinking of when you learn body dragging in water is additional gear. The Hydra flies farther back in the wind window. Because the Hydra fills up with air, it flies a bit slower than typical foil kites. This is actually a good thing as it’s more controllable and is more realistic of a typical kitesurfing kite. The Hydra stays semi-rigid because of the pressure difference between the large amounts of air going in the front and the small amount escaping out the back. So you don’t get the typical foil experience of the kite collapsing because it has flown through the wind window and has lost air pressure (the same happens with gusts). This does happen with the Hydra because of it’s vent system. You can use it with other activities. Other things you can do with the Hydra? Power a kayak, stand up paddleboard, tube, skateboard, mountain board, rollerblades, pontoon boat, snowboard, skis or ice skates. It’s pretty unlimited really. There is no other trainer foil kite on the market that can relaunch on water and land. What size trainer kite should I get? The answer really depends on size. Generally the more you weight, the bigger kite you need for significant traction. If you are over 185 lbs we would recommend a 3.5 meter, if over 125lbs we recommend a 3 meter. Hopefully you have noticed we provide A LOT of content on our site. From videos to mini-lessons to product reviews. We are all kiters and want you to have the best experience possible. Let’s face it, if we were just interested in money, we would probably be doing something else. We don’t just put up a wall of products for you to choose like many retailers. We carefully select the right products and don’t list the rest so as not to confuse you. 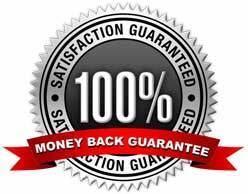 We do offer our Buy Back Policy and beginner instruction manual which is unique in the industry. Is this something my young brother/children can do safely? Is this something a 45/55/65 year old person can do safely? 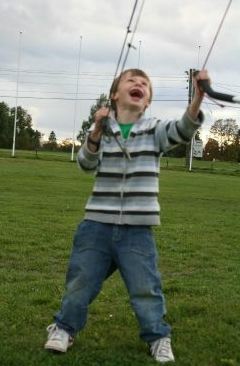 Power kites are great for all ages over 4 years old. We have met 68 year older kiters in Brazil so there really isn’t too much of an age limit. They can be used safely on a beach, field or other surface as long as it is free of structures. Professional instruction is recommended if possible. The great thing about this sport is that it can be as calm or exciting as you like it. It all depends on your style. How Does Your Buy-Back Policy work? We know that getting into a new sport can be confusing. There are a lot of options and that is why we have created a no-risk Buy Back policy for you. Once you get your kite and used it a while, if you decide to send it back to us, you can get up to 80% store credit towards additional gear. This way you are not second guessing whether you go the right gear. Just trade-it in once you have progressed and you are never out of your investment. Your site mentions 30% off – is that 30% off the price listed? The price you see listed is the final sales price. We pay the taxes, shipping (if in the US) etc. The 30% off has already been taken off suggested retail. We like to offer you a no-surprises price so exactly what you see is what you pay. Yes we do. We are sometimes busy sending out orders or talking to other customers, so if you don’t catch us then just try again or place online. We ship out the online orders just as fast as the phone ones. 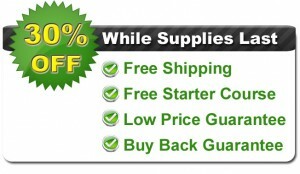 Do you have free shipping anywhere in the world? 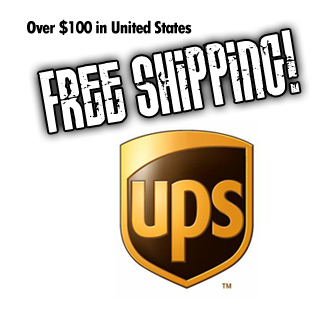 We offer free shipping on orders over $75 any place in the United States. Canada and foreign destinations have a shipping charge – basically we charge the amount USPS would charge us. A general rule of thumb is Canada (about $25) and foreign destinations ($25-45 depending on location and weight). How soon will I get my order (if in the US)? Orders are typically sent the same day received if placed before 1pm EST. We ship from North Carolina so the following are typical times for UPS to deliver? What’s the best kite for landboarding? Both the HQ Scout and Beamer are excellent kites for landboarding. The best kite depends on whether you prefer handles or a bar system. Some people like the two handle system of the HQ Beamer because it allows precise control for power kite jumps. Others prefer the bar system of the HQ Scout because they can do one handed tricks and it’s easy to hook to a harness. Hydra and even Rush PRO although they are more beginner kites for landboarding and the Scout and Beamer are more beginner-intermediate. Easy to learn on and quick to progress. The top value in landboarding out there. A fun and great learning experience for any hard surface. What’s the best kite for snowkiting? 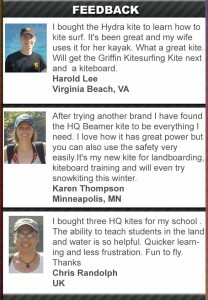 The kites best suited to snowkiting are the Hydra (for beginners), the Apex (beginner-intermediate) NEO (intermediate-advanced and Montana (advanced). The great thing about foil power kites for snowkiting is that they can be transported very easily and taken out to ride anywhere. 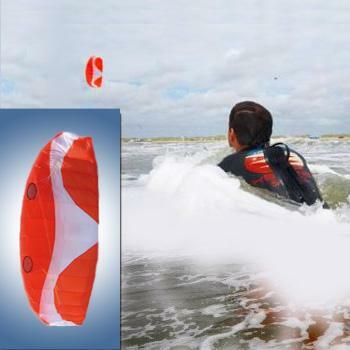 Leading Edge Inflatable kites like the Griffin Kite and Epic kite will also work great – see the videos. What’s the best kite for kite buggying? 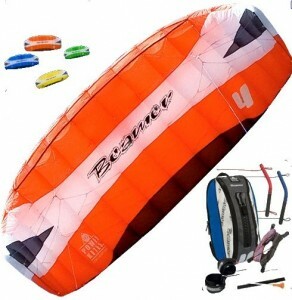 The Beamer and the Neo are both top kites for using with a kite buggy. If you are looking for a buggy we carry the Peter Lynn Kite Buggy. How can I join the community of kiteboarders? Add us up and join the conversation!